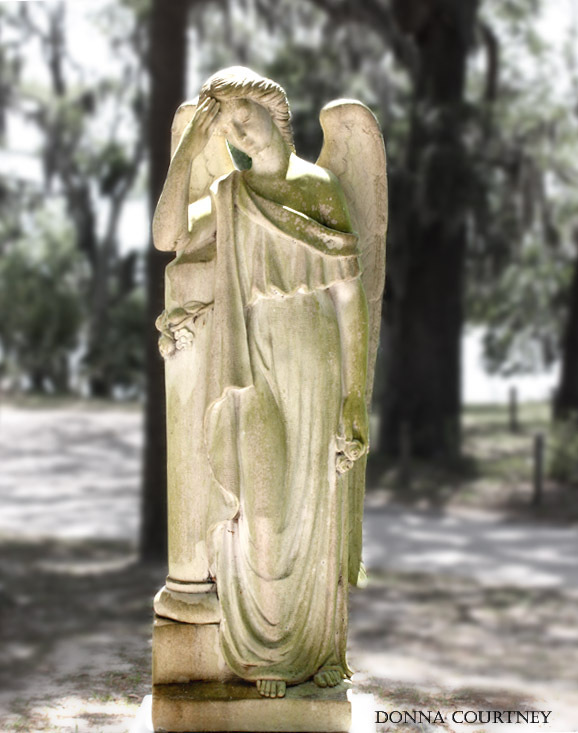 Even way down south, we will soon be thinking about cooler weather and enjoying time inside. 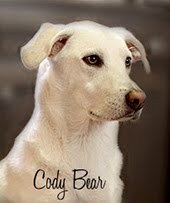 Not quite yet, it's still very warm. 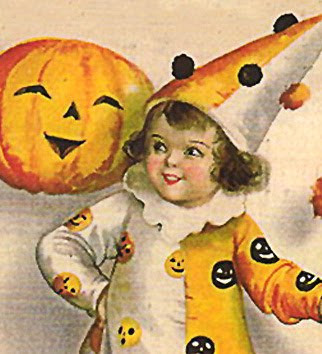 So decorating for Fall helps get you in the mood for when the sweaters are needed. 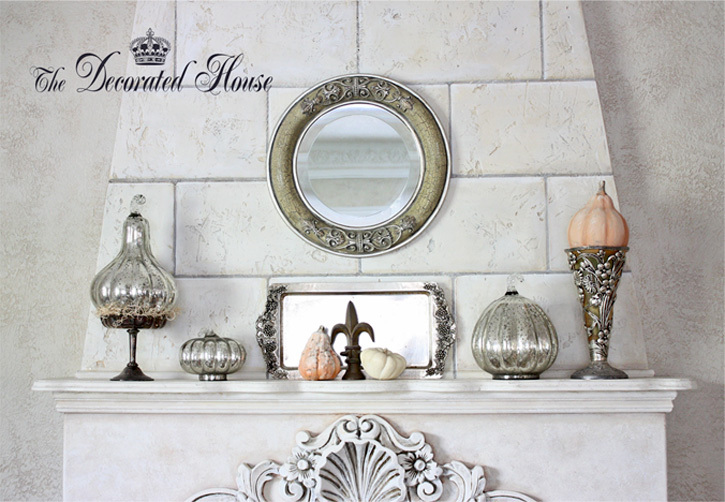 The Mercury glass pumpkins reflect light and add a delightful sparkle to the Fall mantel. 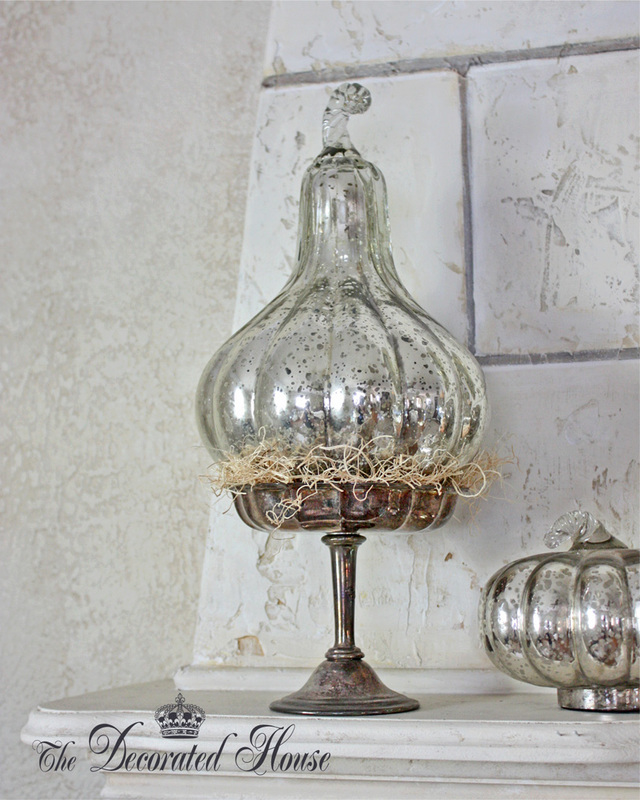 I also added some vintage silver pieces and one real mini white pumpkin along with two lightly colored gourds. 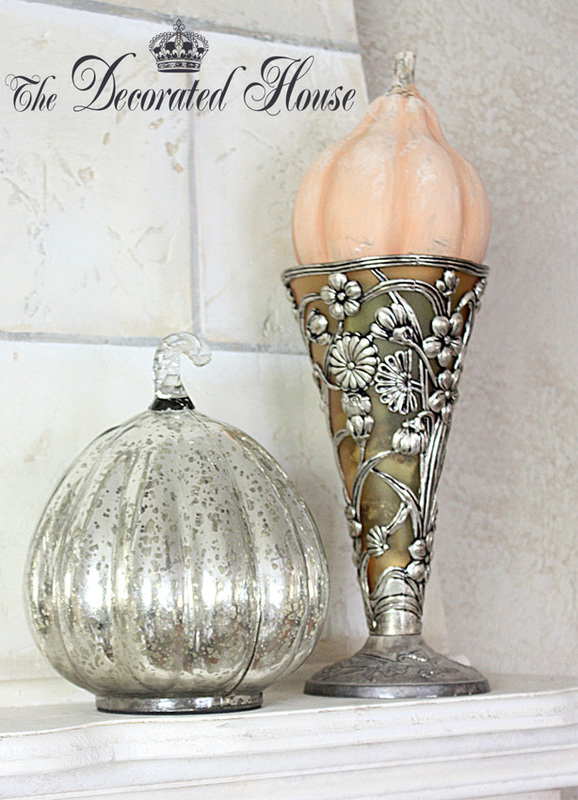 The shapes of the gourds mimic the tall Mercury glass one that is part of the pumpkin trio. 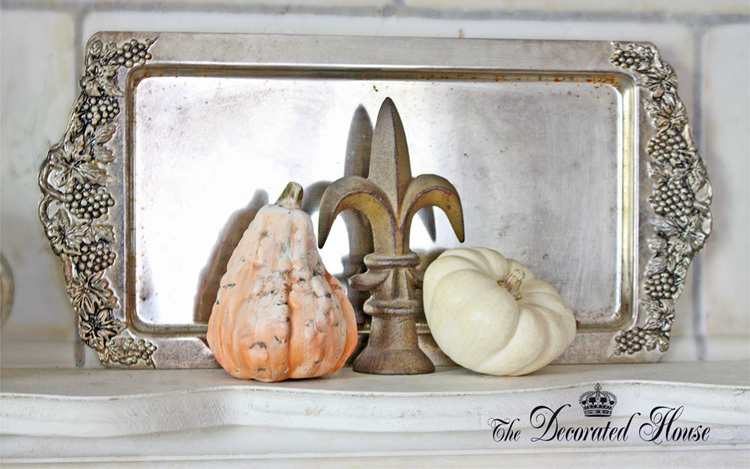 One vintage sliver tray, one real mini white pumpkin/gourd, an almost rusty Fleur De Lis, and a wonderful rustic fall colored gourd. Shapes, colors and textures all playing so nicely together. 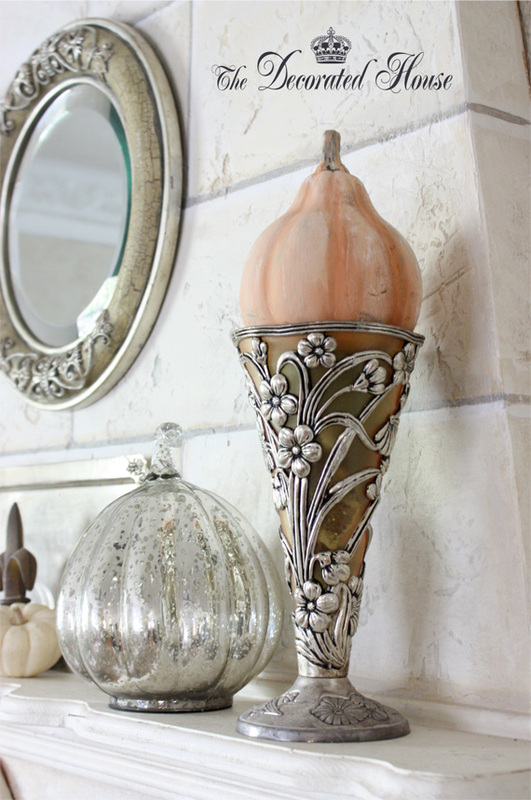 The Mercury glass also is the perfect complement to the silver and glass vase, now topped with another Fall colored gourd. 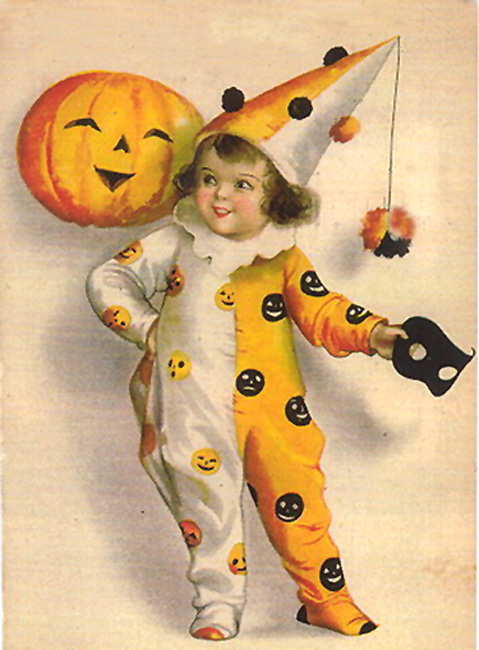 I am eager to get around and see all the Fall decorating in BlogLand.